Les Ardennes à pied, FFRP topo-guide Ref. No. 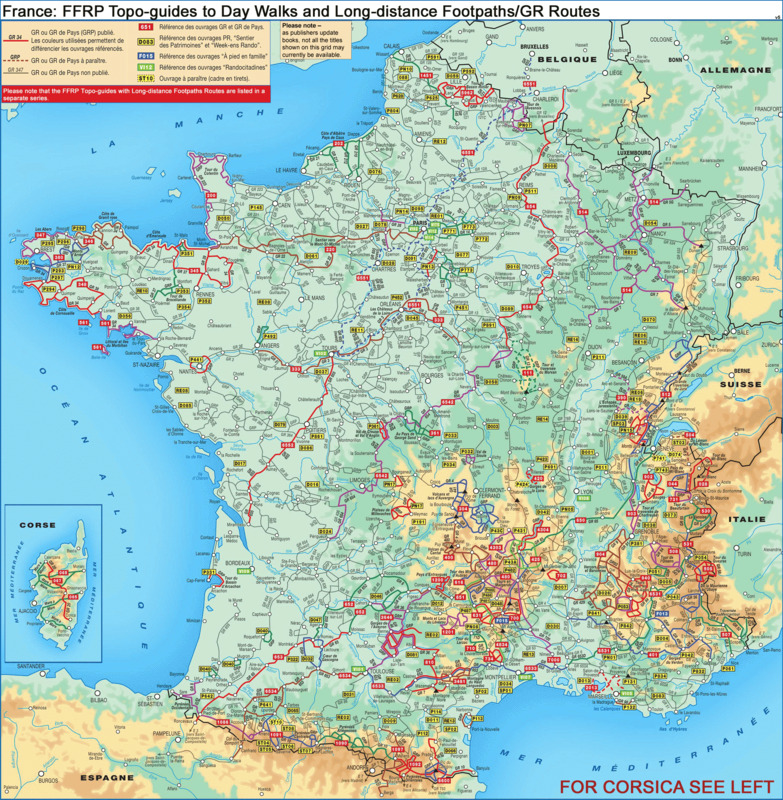 D008, with 47 day walks of varying length and difficulty in the Department of Ardennes, mainly in the area north of Charleville-Mézières around Rocroi, Fumay and Givet, and around Sedan. Each walk is presented on a separate colour extract from IGN’s topographic survey of France at 1:25,000 and/or 1:50,000, with its description cross-referenced to the map. Current edition of this title was published in June 2013. ABOUT THE FFRP (Fédération française de la randonée pédestre) TOPOGUIDES: published in a handy A5 paperback format, the guides are the best companions for hiking in France. 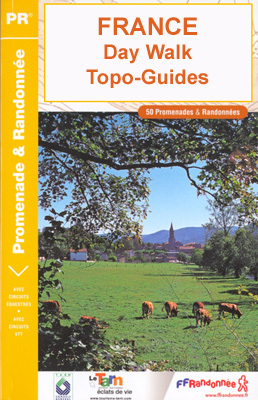 In addition to their topo-guides to the long-distance GR routes FFRP also publish an extensive range of guides with local day walks. Each walk in presented on a colour extract from IGN's 1:50,000 or 1:25,000 topographic survey mapping overprinted with the route, with important points cross-referenced to the accompanying text, in French only, placed on the adjoining page. 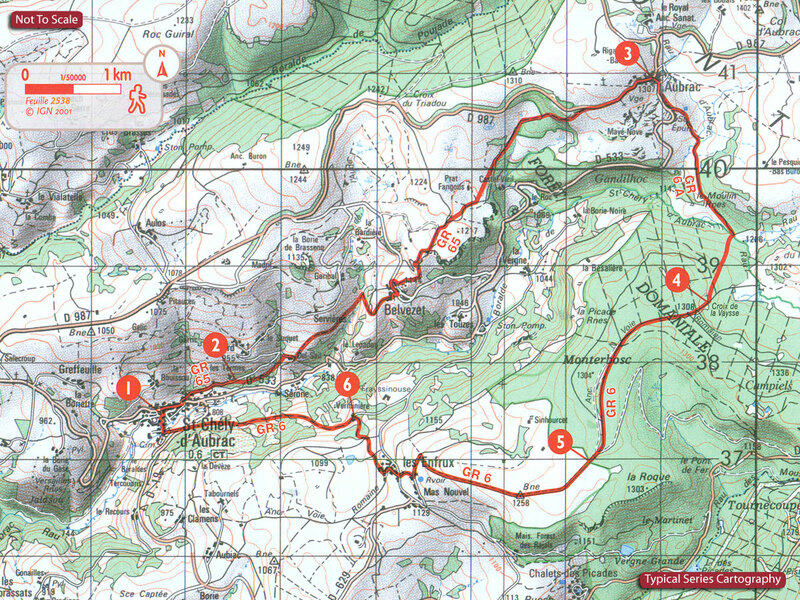 For each walk the guides also indicate the degree of difficulty and provide information on length, time and change in altitude, waymarking signs, access by road and parking facilities. An “info practiques” section of the guide indicates where shops, restaurants and accommodation can be found. The guides are published on high quality paper and include descriptions of the most interesting aspects of the surrounding region: historical and cultural sites, local specialties, fauna and flora, etc, all illustrated with colour photos.